Disclosure: My family and I received complimentary one-day admission tickets to LEGOLAND Florida and LEGOLAND Water Park for the purpose of a review. The opinions shared are my own. With three birthdays in July, there are only so many pool parties you can do before you guests turn into pool party prunes. Instead of parties, my family and I decided to celebrate our July birthdays with a family outing to LEGOLAND. 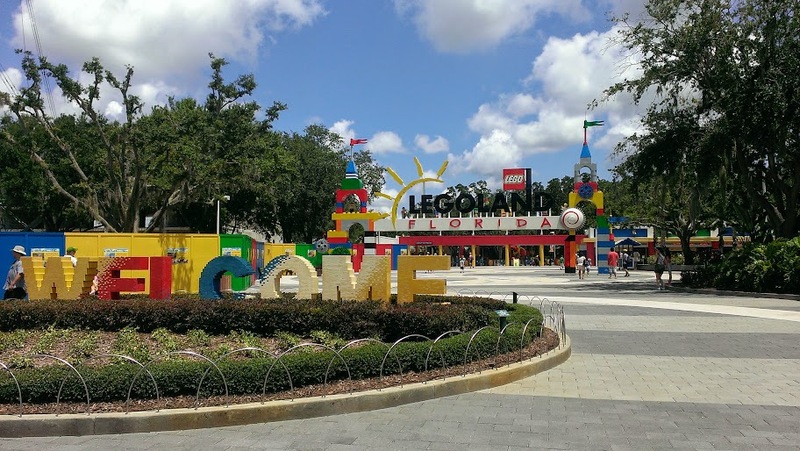 It had been years since my kids and I last visited LEGOLAND Florida Resort for a school trip, however, my husband had never experienced the park before. Typically, Floridians avoid theme parks in the summer. Not only does the heat suffocate the joy of the experience, most theme parks have tourists packed in like sardines. Upcycled on the former Cypress Gardens site in the Greater Orlando area, LEGOLAND Florida is a stone’s throw away from Walt Disney World and about an hour and a half from Tampa. Situated on Eloise Lake, the lakefront property provides a beautiful breeze even on the hottest of summer days and offers several nice shady spots for a picnic, especially when guests are permitted to pack their own sandwiches and healthy snacks. Gentle sprinkler misters spray guests as they amble throughout the park and they were a saving grace on a hot July day as were the friendly summer safety tip reminders. All of those were certainly bonuses on a hot summer day, but let’s face it. My family and I were here for the LEGO themed rides. Specifically designed for the younger Master Builders, my two younger July birthday children truly enjoyed the park. Little Lion Man met most of the height requirements for the rides but when he didn’t, he quite happily played with the LEGO building stations in the queue while he waited for his sisters. We started our adventure in LEGO TECHNIC. While Dad and the girls rode Project X, Little Lion Man and I boarded the Aquazone and then squealed wiht delight as we cycled on the Technicycle. As we made our through LEGO CITY, the kids earned their licenses at the Ford Driving School and then shortly after, we headed straight for the LEGOLAND Water Park. The Build-a-Raft greeted us upon entering the park and beckoned the girls to come for a swim. Liam and I splashed around DUPLO Splash Safari while we waited for his sisters to return. From the Joker Soaker to the Splash Out, we could have easily spent the rest of the day there, however, my little thrill seeking Lion Man was disappointed that he didn’t meet the height requirements for some of the flumes on the Joker Soaker. Thankfully, there was plenty of LEGO Master Builder fun to go around and please him, especially at the Wave Pool. Storms rolled in the later afternoon as they often do in the summer months and sadly, we needed to cut our AWESOME LEGOLand adventure short. Upon our next visit we will head straight to the World of Chima first since we missed it for this visit. This fall, experience the wonder of LEGOLand and the magic of the holidays with two Bricktacular events only LEGOLand could build. Guests will invade LEGOLAND® Florida Resort during its kid-friendly Halloween celebration of Brick-or-Treat presented by Wells Fargo this Fall. This spooky event takes place weekends in October, and features trick-or-treating along the brick-or-treat trail, super brick build activities, the largest LEGO Jack-O-Lantern in the world, Halloween entertainment and an all-kids costume contest with brick-tastic prizes! On Saturdays and Sundays in December, Christmas Bricktacular will feature tons of holiday festivities and family fun with park admission including a photo opportunity with a life-sized LEGO Model Santa Claus! For more information on upcoming events and to purchase tickets or annual passes, visit florida.LEGOLAND.com. To explore the LEGOLAND Hotel opening in Summer 2015 or to reserve a room, visit florida.legoland.com/LEGOLAND-Hotel. Escape to the South Seas Island Resort this Summer Just Let Go for Another Day at the TradeWinds Island Resort Music Monday: Everything Is AWESOME!!! 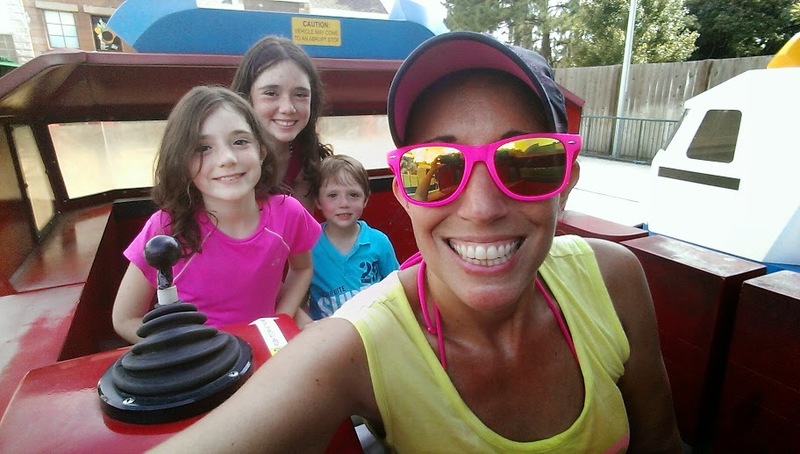 This entry was posted in entertainment, family life, Life, review, travel and tagged children, family, Florida, fun, LEGOLAND Florida, Life, memories, musings, Orlando, photographs, review, Run DMT, thoughts, travel. LEGOLAND is such a fun place! It looks like your family had a lot of fun!